About a month ago, word spread that Google had quietly launched a new fund for investing into AI companies. Now this fund has made its first (or at least its first public) investment. Led by Google’s VP of engineering for AI, Anna Patterson, this new fund is leading a $10.5 million Series A into Algorithmia, a marketplace and enterprise solution that allows developers to easily tap into its catalog of 3,500 algorithms, functions and machine-learning models. Other participants in this round include new investor Work-Bench, as well as current investors Madrona Venture Group, Rakuten Ventures and Osage University Partners. The Seattle-based company currently has 45,000 developers on its platform, and the algorithms on the site stem from university researchers and individual developers from across the globe. As Oppenheimer also stressed, the company has recently started to bring on more enterprises and even some intelligence agencies thanks to its ability to run their workloads in private, secured clouds. That’s a growing business for Algorithmia, and surely one of the reasons there was a lot of VC interest in this round. 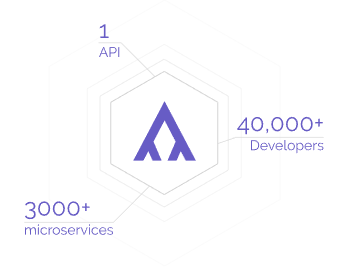 As Oppenheimer noted, Algorithmia’s so-called CODEX platform (PDF) was built to be portable, and the service currently runs on AWS, Azure and the Google Cloud Platform. In addition, the team also supports private deployments on OpenStack, which its customers in the financial and telecom businesses were requesting. Given that the service essentially runs its users’ random code on its servers, the team has long focused on security, and that’s something that’s paying off now that it is talking to financial institutions and government agencies. Given that Google has now invested in the company, I couldn’t help but ask Oppenheimer about potential acquisitions. “We have no intention of that yet. We are 100 percent committed to building out this business,” he said. He did add, though, that the company has received acquisition offers and that he could’ve “gone the acquisition round.” He stressed that Google wasn’t one of the companies that approached him about buying the company. Algorithmia currently only has 13 people on staff. Most of these are engineers. With the new funding, the team will likely expand to 23 or so by the end of the year. Because of its success in the enterprise, the company also plans to open an office for its sales team and solutions engineers in New York City.